Arashi is sweet 16 and in some cultures, this is a rite of passage, a coming-of-age, an age of transition. Of course in reality, the bakas are in their 30s already, not exactly simpering young ladies, or boys in the throes of adulthood. But as a group, they are in that stage, which Jun described last year as being halfway in their journey. 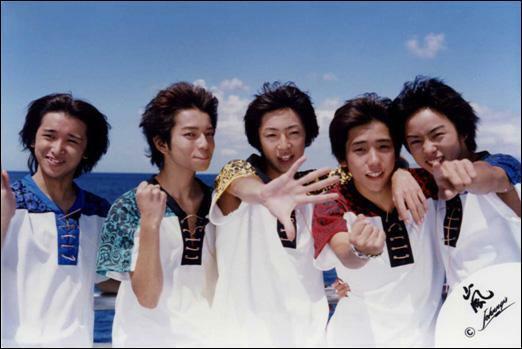 1999 – their debut on a yatch in Hawaii. 2001 – they moved to a new label, J-Storm, after their previous label chose to focus on other artists. From a little label created for them, J-Storm is now #3 in Japan next to Avex and Sony. 2002 – those late night long talks in Riida’s room talking about their future that may have shaped the Arashi we know now. 2005 – Jun accepted the role of Domyoji Tsukasa in Hana Yori Dango on the condition that Arashi will sing the theme song. This became a breakthrough for them, with the drama paving the way for them to be known in Asia. 2006 – Nino went to Hollywood to film Clint Eastwood’s Letters from Iwo Jima, which would become one of the trial periods for the group; will Nino go back or choose the glitter of Hollywood? Obviously, Nino chose Arashi. 2006 – they embarked on their Jet Storm Tour to Thailand, Taiwan and Korea in one day, followed by their first overseas performances in the capital cities (except for Thailand due to a coup d’etat). 2007 – they released Love So Sweet, their first single to break the 200,000 sales mark. 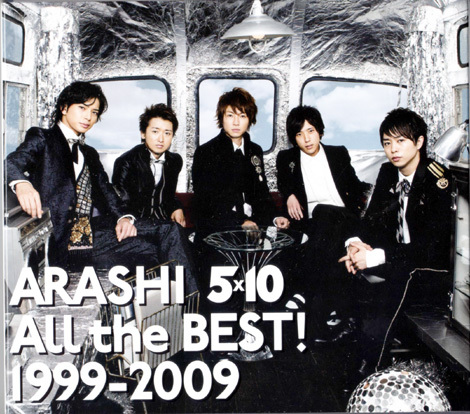 2007 – Arashi Around Asia Dome – this marked the first time for them to perform in Tokyo Dome, taking them eight years to get on that coveted stage. 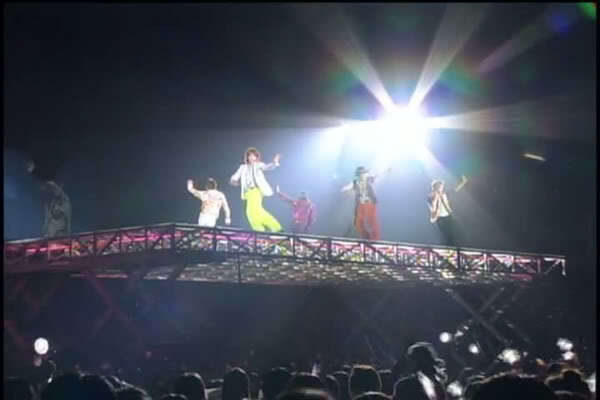 2008 – they mounted their Dream A-Live five-dome tour, becoming the only third Johnny’s group to perform in major domes in Tokyo, Nagoya, Osaka, Fukuoka and Sapporo. Their album Dream A-Live was also popular with the male population, indicating that the group has crossed gender and age groups in terms of appeal. 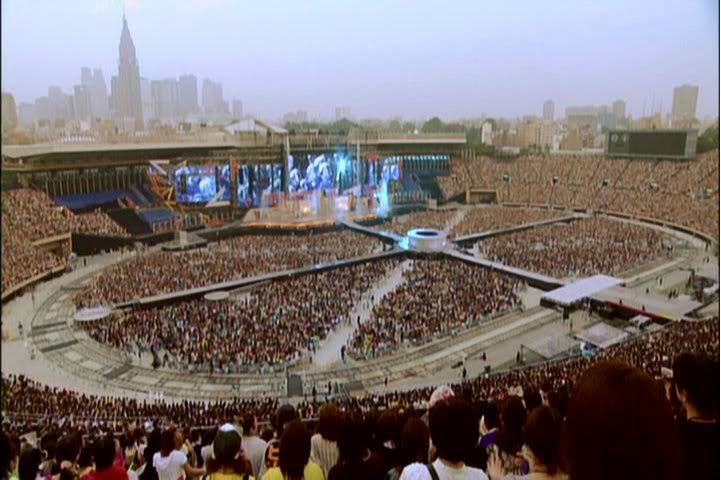 2008 – they performed at the National Stadium (Kokuritsu) for the first time, the only third musical group after SMAP and Dreams Come True, to do so. Kokuritsu–which can accommodate up to 70,000 people in a night–will be their concert base for the next six years; the venue is now closed for renovations for the Tokyo 2020 Olympics. 2009 – Arashi marked their 10th anniversary with a three-night concert in Kokuritsu, the only artist to do this for the first time. 2009 – they released their All The Best 1999-2009 compilation album which broke the 1 million mark two weeks after it was released. It included a bonus track, 5×10, which they all composed as a gift to fans on their 10th year. 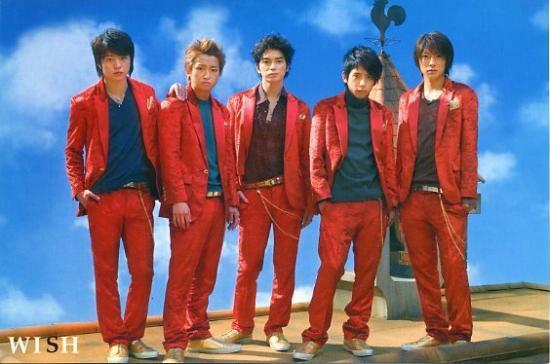 2009 – they were invited to perform at NHK’s year-end show Kohaku, the third Johnny’s artist to join the by-invitation only program after SMAP and Tokio. They waited 10 years to be given this privilege. 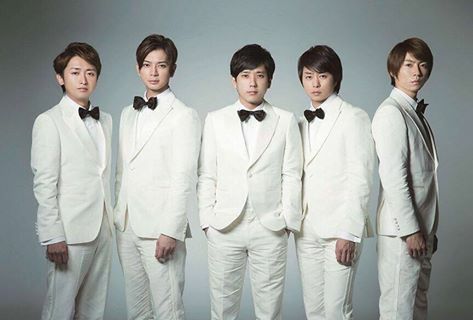 2010 – they were launched as JAL‘s ambassadors through Arashi Jet; they have collaborated with the airline for their Boku no Miteiru Fūkei (2010), Beautiful World (2011), Popcorn (2012) albums, and the latest is the Fly to 2020 campaign, which Riida himself designed. 2010 – they became the first group to host Kohaku, which they did for the next five years until 2014. Alas, 16 is not enough to list down the turning points of Arashi. Charting their career is very interesting because it debunks the belief that they had it easy for them. I suppose when you only see success, you forget that behind that is a lot of blood, sweat and tears…and years. Incidentally today, I came across someone’s rant on how J&A is pushing Arashi “too much” when they don’t need it anymore, and at the expense of the other groups in the agency. This prompted behind-the-scene discussions with some Arashi friends and the general attitude was, jealousy won’t get anyone anywhere. Not to say that Arashi achieved everything on their own because without the support of their senpais, inviting them to guest on their shows, and J&A, they won’t even get anywhere. But as the saying goes, give man fish and he will eat for a day, teach man to fish and he will eat forever, right Riida? Sure, they were extended help and support, but if they did not make the most of it, they might still be languishing in midnight shows and old stadiums. Arashi has been paying it forward too, inviting kouhais to their shows, featuring HSJ in Waku Waku, even taking guest roles like what Nino did for Assassination Classroom. Their kouhais have also been vocal on how Arashi are generous with their knowledge and experience; remember Jun’s page-full comments after watching an HSJ concert, among other things they have done? I do get the frustration of non-Arashi fans but to blame the group or the agency for “pushing” them is unfair. Advertisers and TV networks ask for Arashi, even the government asks for them, in the case of the Blast in Miyagi concert and their JNTO collaborations (and don’t forget Hawaii, which has been courting them for two years to hold a concert there). That’s how it works: bottomline is, entertainment is big business. And it’s not as if Arashi is sitting there waiting for jobs to drop on their laps. Just as every idol out there works hard, so do they, so why begrudge them of the success they have when they did not take any shortcuts nor stepped on other people to get to where they are now. Someday, and as they themselves are well aware of, they will bow down to the next group that will take over. It’s a cycle. But it does not mean that they will easily concede what they have worked so hard for. Fame is fleeting and sometimes can be petulant. Just a little mistake and one’s hard work could be erased just like that. It takes more than talent to get anywhere in the entertainment industry. And definitely, more than good looks. And I am glad that over the years, Arashi has evolved into a group that, while they may be idols, has developed ownership and creative license over their work. They may not compose all their songs, they may follow a script on their TV shows, but they turn their music, their shows, their work into their own. They put their personal touch and mark them as theirs. And they find avenues to release their creativity like Riida and his art and choreography, Sho and his newscaster role, Aiba and Nino and their solo shows, Jun and his concert productions. All one has to do is watch their Digitalian Suppin’ and NHK documentary to see that they are not idol robots doing what people tell them to do at the push of a button. They never take things for granted just because they have already tasted fame. They do feel like they’re living a dream but they also know that it’s not the end of their journey. They have taken control over the 嵐 brand and they themselves have charted Arashi to where it is now because at the end of the day, fans and our dear old Uncle Johnny can only do so much. The rest is up to them. 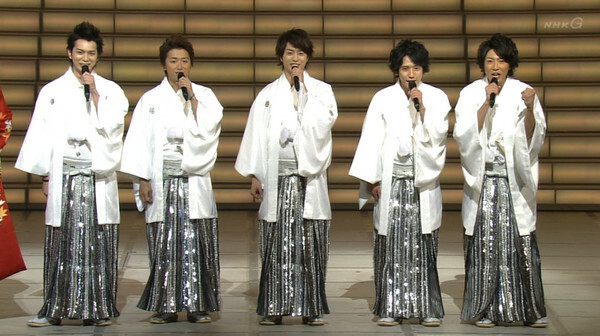 Happy 16th year, Arashi! Omedetou! Thanks for writing this. First, Happy 16th Anniv to my fave group! Second, I didn’t know someone’s complaining about Arashi’s exposure as “being pushed too much by J&A”. I totally agree with your POV. As Nino mentioned in HnA, it’s a matter of supply and demand. They don’t need to be pushed because they still sell and one thing I love about these 5 guys is, they don’t take things for granted. They don’t rest on their laurels. They still work damn hard. They are national idols but if you see them on VSA and AnS, one might think you are just watching CxDxG no Arashi and Mago Mago. Their core didn’t change, they just became more mature and the quality especially their concerts just goes higher. I just celebrated my 1st anniversary as an Arashian (my 1st comment as a fan was in your blog ;). I learned that being an Arashi fan (if you want their goods, DVDs and CDs – which you normally do) is quite expensive. So even if they’re being pushed and I don’t like them enough, I certainly wouldn’t part with my hard earned money. I think same goes with most of the fans. So basically they paid their dues and worked hard to get to the top. Them being nice and easy to work with certainly helped a lot (senpais and kouhais likes/loves working with them). So for other J&A groups, Arashi already have the formula to success. Others can copy and add their own ingredients for them to also succeed. Arashi will not be young forever. The other groups will have their time under the spotlight. Sorry correction on my earlier post, it’s not Nino saying it on HnA it was in Shukudai-kun. Hi, I’ve been reading your blogs this past several days and it is fun. I just discovered ARASHI a week ago and I became a fan and wants to know more of them. I was Jun-baited as others would term it and that’s how I became interested. My hubby and me were in Japan for a limited time about two years ago and had I known ARASHI then, maybe I would have timed it where they were having a concert. Hello! Welcome to the Arashi fandom! I hope you find more reasons to love and support them. If you have questions, just feel free to drop them here! For sure they’d have another concert tour this year so you might want to consider going on that though I won’t say it’s easy to get tickets haha. Thanks for commenting!